Click on the links below to jump to the desired section. If you require us to do the backup of your Joomla site, let us know and we will then quote you accordingly. 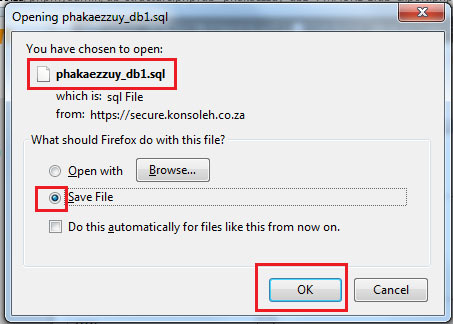 Alternatively, you can follow the procedure below to backup the site manually by yourself. 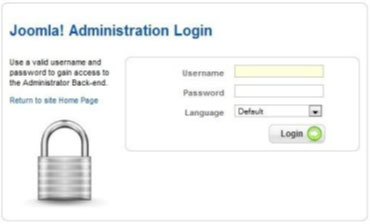 Navigate to the Joomla login of your site. Go to http://yourdomainname.co.za/administrator, where yourdomainname.co.za is the name of your domain. You will then see a page displayed asking for your username and password. Enter the username and password. Thereafter click on the Login Button. 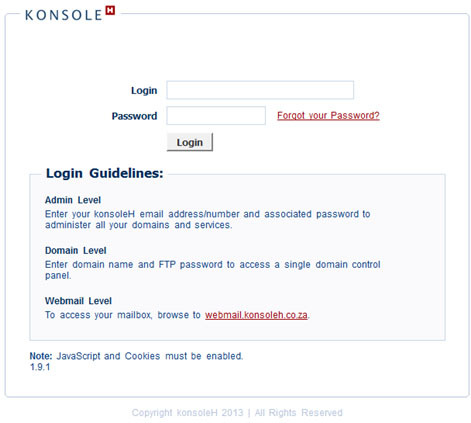 If you do not know the login details, please send an email to support@websitedesign.co.za requesting these details. After you log in, click on Components -> Akeeba Backup. There are 2 important fields that you will need to look at here: Output Directory field and Archiver Engine. a)	Go to the Output directory field. Write down on a piece of paper the text in this field. This displays the location where you will find the backup of the site. 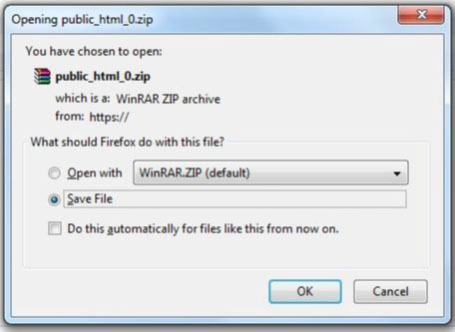 You will need this when you log into your site via FTP to download the zip file of your site. b)	Go to the Archiver Engine field. 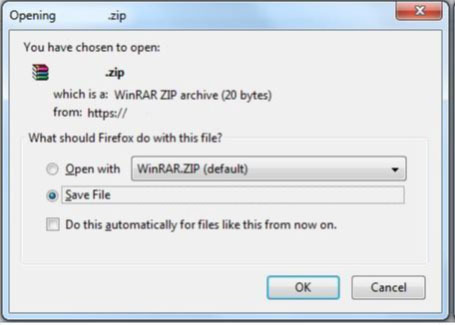 Ensure that it says ‘ZIP format’. If not, click on the drop-down arrow next to it and change it to say ‘ZIP format’’. Click on the Save button to the top-right of the screen. You will now be taken back to the Akeeba Backup screen. Now, click on the ‘Backup Now’ icon. You will now be taken to the ‘Start a new backup’ screen. Click on the Backup Now button on that screen. The backup will now proceed. The backup is completed when you see the screen below. Click on the Control Panel icon on the top-right of the screen to be taken to the main screen of Joomla. You will now have to download the backup from your domain using the Control Panel for your domain. When you log in to the control panel, you will see this menu on the left. 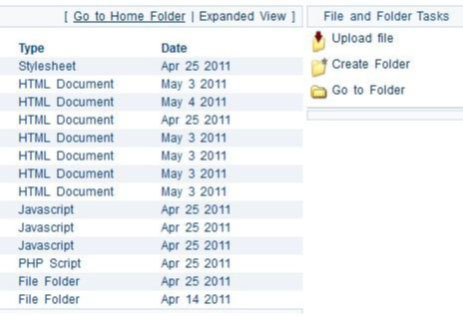 A screen listing all the files and folders on your website is now displayed. Remember the text you wrote down on a piece of paper from the Output Directory field earlier on? You will now have to navigate to that directory. Double click on each folder until you arrive to the location of your website in a ZIP file. 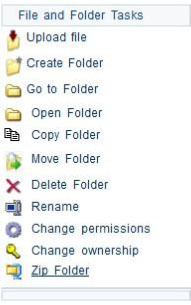 Double click on components folder. Double click on com_akeeba folder. Double click on backup folder. You will see the ZIP file which contains the website. 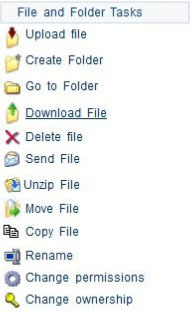 Select the ZIP file. On the menu to the right you will see the Download File link. Click on this link. The file will now begin to download to your PC. Be sure to download ONLY the Akeeba Backup files for the relevant version Joomla. If your site is a normal HTML site, you can follow the procedure below to backup the site manually by yourself. If you require us to do the backup of your HTML site, let us know and we will then quote you accordingly. 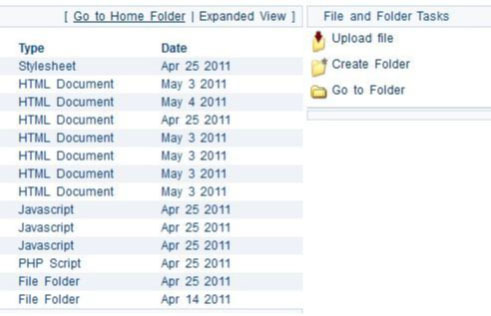 A screen listing all the files and folders on your website is now displayed. On the right-hand side of the screen you will see a link, called Go to Home Folder. Click on this link. Now look at the menu on the right hand side of the screen. Look for the Zip Folder icon. 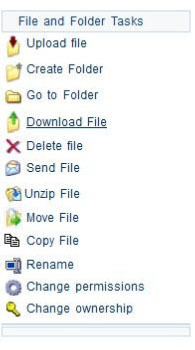 Click on the Zip Folder icon. The system will now begin to compress the files of your website into a zip file. This process will be complete when you see a screen like below. It will show a message in green, The Zip file was created successfully. Look for the file, public_html_0.zip. Note: Your zip file might not have the same number as in this example. Click on the zip file. On the menu on the right of the screen, look for the Download File icon. Click on it. The zip file will now begin to download to your PC. Once this is completed, you will have a backup of your website. If your site is a Wordpress or Open Cart site, you can follow the procedure below to backup the site manually by yourself. If you require us to do the backup of your Wordpress or Open Cart site, let us know and we will then quote you accordingly. While you are logged into the control panel, click on the Manage Services item. 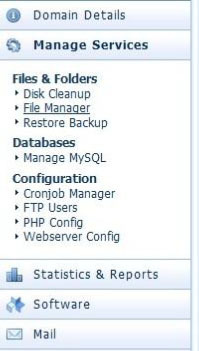 You will now see the “Manage MySQL” page. On this screen, a list of databases attached to your domain, are shown. NB:!! Ensure that you select the correct database which is currently being used by the website. If you are unsure, please contact your web developer directly. On the right, you will see the phpMyAdmin link. Click on that link. You will now be shown a screen which lists all the tables for the database. You will now make a backup of the database. Click on the Export link on the top of the screen. You will now be taken to a screen confirming certain options before doing an export of the database. Then, click on the Go button to do an export of the database. Remember, doing an export of the database, is making a backup of the database. The database will now be exported and will download to your computer. Once this is completed, you will have a backup of the database for your website. NB:!! Be sure to save both the database and the website files you have downloaded onto your computer. Should you decide to re-instate the website again, those are the files that you will need, in order to do so.